Penny Bloom Summer Daze Collection! Long time no talk, eh? I am still on a little break from blogging but am going to get back to it slowly but surely. 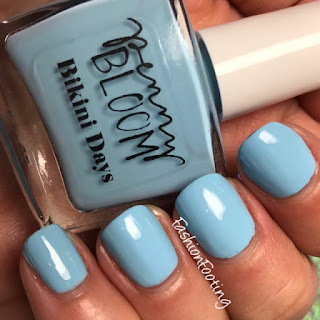 What better way to ease back into posting than with a beautiful summer creme collection from Penny Bloom? Formerly Nayll, Penny Bloom Polish offers custom polishes that you create right on the website and also their own line of beautiful creations, which is what we will be looking at today! The Summer Daze collection releases on June 21st, the first day of summer, and is a 10 piece creme collection inspired by the long hot days of summer (my favorite)! 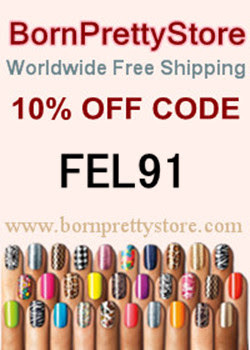 The polishes retail for $10 each or you can purchase the entire collection for $90! 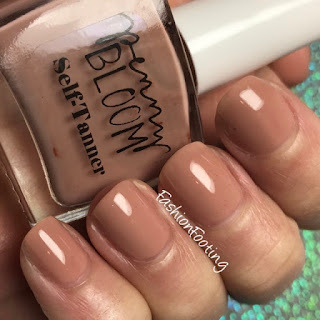 All swatches are shown with topcoat. 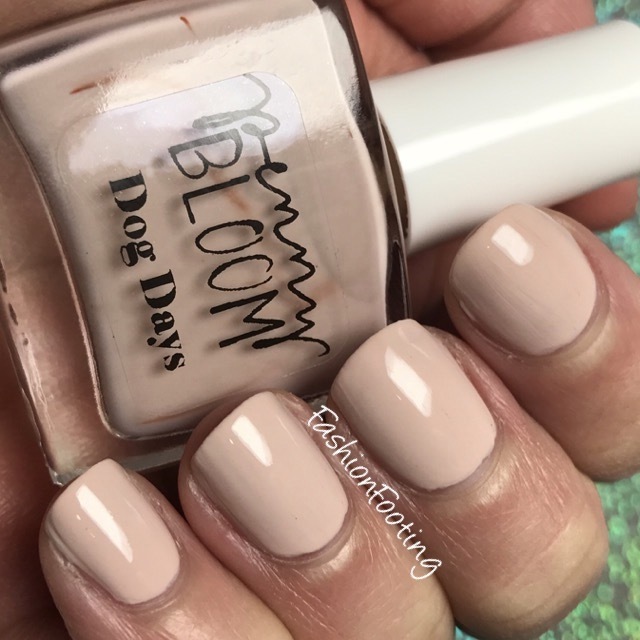 Dog Days is a light tan creme. This was 3 coats. As you can see, there was some pigment that didn't get mixed up all the way in the bottle but it didn't affect the polish when applying it to the nail. Self-Tanner is a mid tone brown. This was almost a jelly type of creme and needed 3 coats. 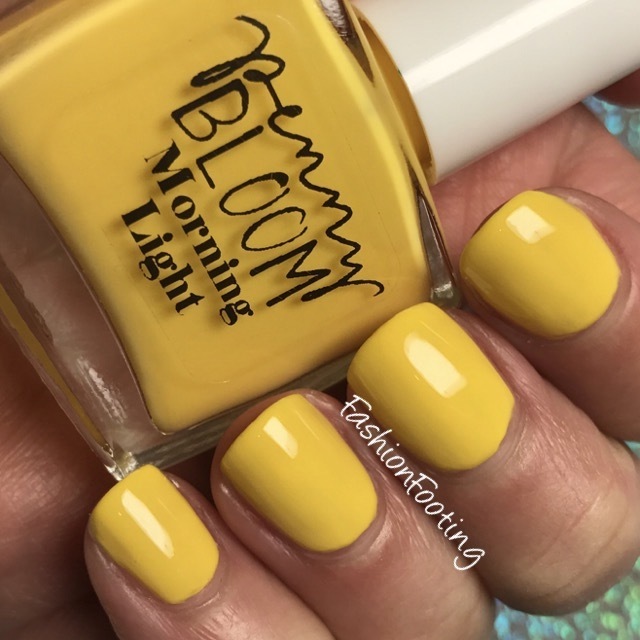 Morning Light is a beautiful bright yellow, again 3 coats. 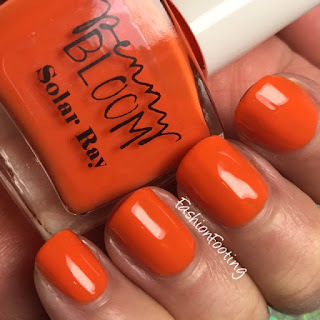 Solar Ray is a bright orange creme. This was the tiniest bit thick but not unmanageable at all. 3 coats. 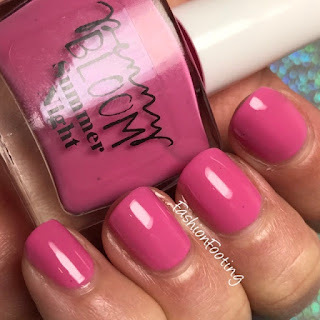 Summer Night is a lovely pink, 2 coats. Bikini Days is a light blue creme. This was 2 easy coats. 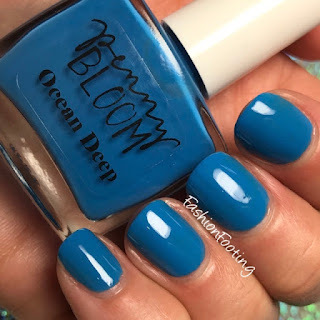 Ocean Deep is a medium blue creme, covering nicely in two coats. 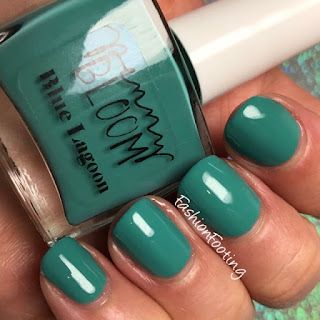 Blue Lagoon, a gorgeous dusty teal and opaque in 2 coats. Greenscape is a nice kiwi green and covered in 2 coats. Finally, Smoothie is a deep green and covered in 2 coats. Sara was also kind enough to give you a discount code for 20% off your entire order! Just use code FSHNFTG20 and voila! There's your discount! Remember, this collection will be available in one week, on June 21st! Which shades are you going to be getting?? 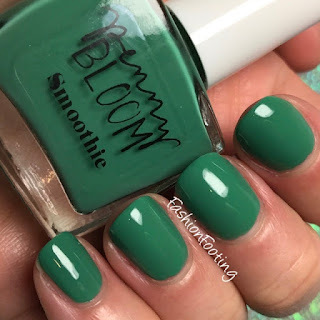 Don't forget that you can also create your own custom polishes on the Penny Bloom site. 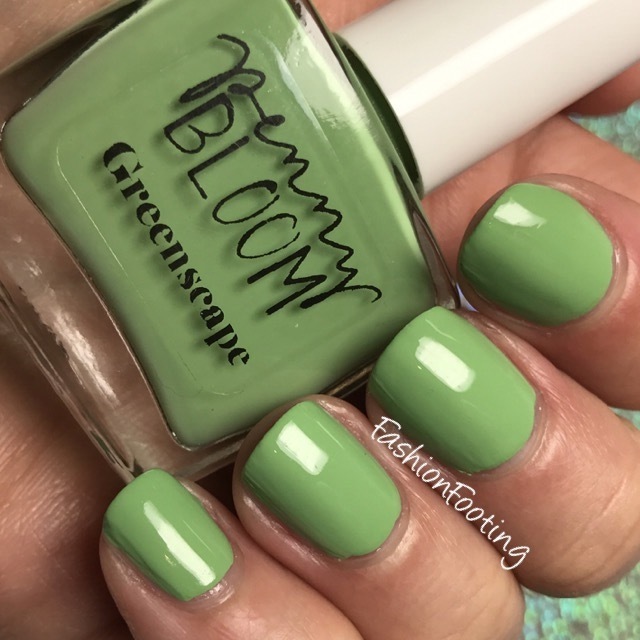 I've done it before the rebrand and just a few weeks ago and I LOVE how the polishes came out! Swatches of those will be coming soon!